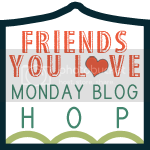 The Friends You Love Monday Blog Hop was created to encourage us to reach out into our blogging community and get to know someone a bit better. This week I reached out to my friend Amethyst Moon from Life, Music, Laughter. I met Amethyst last year during the first ever Friends You Love celebration, and I had the fortunate experience of actually meeting her in San Diego, at BlogHer11. Friends are a lot like drugs, they can solve many problems, make you feel great, sometimes even a little loopy, but sometimes even a good thing can have bad side effects. So, wouldn't it be easier if they each came with their own "friendship warning label" so you know what to expect. Because all friends are great, but some you can only handle in small doses. For example, I have a friend who has a "never been a mother complex" you know the one that doesn't have kids, never wants kids, but wants to not only tell you how to raise yours, but also wants to mother you! I still love her, but sometimes I just need a break from her. So, because I know this, I know not to schedule a long day alone on an island with her because she would surely become shark food by the end of the day. Another friend is the "lack of movement may cause drowsiness" she is a ton of fun, but if she's not doing something to keep her entertained, she quickly gets sleepy eyes, and the night will soon be over. So simple solution for this label, when we go out it's never just a bar to sit and chill, we have to go somewhere to dance and mingle. Then, there's the 2 friends that are like drugs and alcohol, they just don't mix! After one night of drama with them together, I now make sure to give them there own time on separate nights! So what should you know to be my friend? What's on my warning label? Well, I'm the friend that will never call, but I'll be there when you need to talk. I'll buy your birthday gift months in advance but forget to give it to you. I don't respond well to being told what to do, but I'm always open to new things. I will be the first to jump on stage to dance, and will try to drag you with me. I'm a bit of a nerd but at least I admit it. I love music of all kinds, I love hanging out with friends, but sometimes I just want to be alone. Women make great friends. We have our strengths that make us great and our opportunity areas that make us unique. We should all own our little quirks because they make us who we are. It's our diversity that makes us interesting, and keeps our friendships strong. In friendship, be willing to compromise, but don't compromise who you are. Be yourself and wear your "warning label" with pride. What would your friendship warning label say? 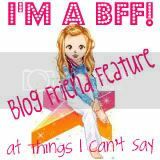 So dig through your followers lists, reach out into your blogging community, and ask someone to guest post at your place - then come link of for the Friends You Love Blog Hop!! I love this! Friendships do need to come with warning labels. Oh the drama that I have endured throughout my life with friendships.It could fill a book! I bet even with warnings people still love being your friend. WARNING: This friend comes with no filter. She's prone to have expletive outbursts for no apparent reason, will always give you brutally honest feedback, even when you don't want, require or need it. She will embarrass you in public, start talking with whatever accent happens to be in the room and obnoxiously knows everything about most things. Yep, that's pretty much my warning label. OOh! This is good. I'm going to be working on my warning label. I'm thinking mine probably comes with little hole punches in the upper left corner and on an "O" ring...the flip card laminated kind that I can scan through to fit the mood. Sheesh...makes me sound a little scary. Oh my gosh, I think I just met my Doppelganger! I can relate so much to Amethyst it's not even funny! I would have to utterly DITTO what she said for a warning label. No, not taking the easy way out. Just keeps me from retyping verbatim. 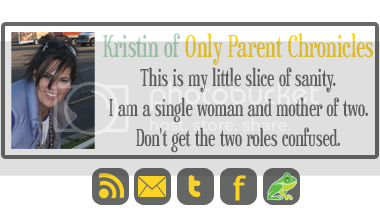 I am trying to enter the blog hop, but the badge up top is not working for me.